Home buying might seem fairly straightforward, but it can actually be quite a bit more complicated than expected. Some home buyers find that home buying education class helps while others may be required to take it. Zuleima Martinez-Ramos is from Puerto Rico, but she and her husband wanted to buy a house in Greece, N.Y. They were going to receive some grant money to help with the purchase, but the grant program had a requirement of taking a Homebuyer Education Class. Homebuying education classes are available all over the country, both online and in person through many different organizations like housing councils and neighborhood groups. All home buyers can find some benefit in home buying education, but certain shoppers may find the class more beneficial than other might. Home shoppers that need a home buyer education certificate to qualify for a loan or grants. People who are already homeowners but want to better educate themselves about homeowning. Home buyers working with local housing counselors. Home buying education classes are taught by trained counselors who understand the real estate and mortgage industries. They help people understand the entire home buying process from getting pre-approved for a loan to preventing foreclosure. They also usually bring in experts who can explain ways to enhance your property’s value and keep it up-to-date without spending a lot of money. Housing counselors can also do one-on-one sessions before, during and after the classes. This helps home buyers create a specific budget and also teaches them what types of mortgage options are available. Home buying classes are also offered online. “Right now, about 65 percent of our households come to the in-person classes, while 35 percent take them online,” says Susan Boss, executive director of The Housing Council at PathStone in Rochester. How Much Do Home Buying Education Classes Cost? 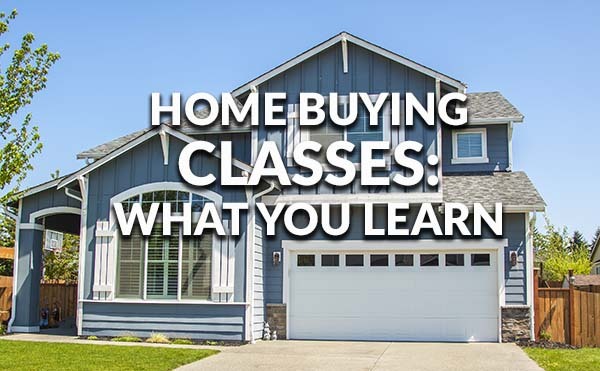 Many home buying education classes are free, and sometimes the lender will pay for it. Other times, the organization offering the class charges a nominal fee. For instance, Boss says they charge $60 for the in-person class or $100 for online classes. The in-person fee covers the cost of printing the book which every home buyer gets to take home with them. They also have to pay for credit reports which are used during their individual counseling sessions. These classes are usually offered on a Saturday for eight hours, or they are spread out for a few hours each weekend over a few weeks. 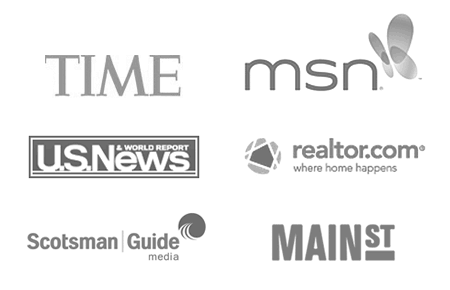 What’s Covered In Home Buying Education? Also covered are disclosures, down payments, shopping for a mortgage, working with a real estate agent, home inspections, appraisals, the complexities of credit scoring, conservation of utilities, closing costs and maintaining your home once you get it. What Do Students Take Away From The Classes? Martinez-Ramos took the class nearly a year ago. The process of buying a home in the United States is much different than in her homeland. “For example, I didn’t understand why it was so important to get an inspection when you put an offer on a house, and all the things you needed to be aware of like a good furnace, foundation, roof and more,” she says. She and her husband were able to buy a 1,700-square-foot home with three bedrooms and 1 ½ bathrooms with hardwood floors and a wood burning fireplace. “I heard people talking about the realtor, loan officer and attorney. But since this was my first time buying a house, I did not have a clear picture of the work that each of them do until I took the class,” she adds. Becky DeVos has qualified for a First Time HomeBuyer’s Club, which will help her with closing costs. She was required to take a home buying class, and she continues looking for her dream home in the Webster and Penfield, N.Y., area. She admitted that she didn’t know about getting pre-qualified before taking the class. The other major topics she learned the most about were home inspections and budgeting finances. “I will be a great homeowner because after living in apartments, I am going to appreciate my own home and space that I can do whatever upgrades or changes that I want,” she says. Home buying can be a stressful process, but proper planning and getting the right information can make it better. Click to get multiple rate quotes.